dJAX display, video, and mobile ad server is an ad serving platform for individual users or ad agencies to set up an independent ad network and to run an online advertising business. The ad server is featured with cross-platform support to manage and deliver the display, mobile and video ads on desktop and mobile devices. The platform is integrated with a template engine, Delivery capping, and real-time bidding to generate maximum yields. The admin can view the inventory reports on house ads, network users, network advertiser, and publishers. The Admin can bulk upload the Banner, Campaign for advertiser and bulk upload the zone for Publisher using CSV file format. VAST 3.0 Specification for Video ads has two new events called skip and progress to skip or continue the ad. Video Ad Pod: Ad Pods is a set of sequential linear ads that are played before, during and after the original video content. The video ad pots function like a TV commercial break with multiple ad spots. The platform allows the advertiser and publisher to manage the inventories, campaign, creative, website, and zones. The admin has the privilege to handle the unavailability of advertiser ads with the house ads option. The publishers have an option to replace the no matching ads with passback tags. The publisher invoice is generated every month with minimum invoice amount. The advertiser and publisher can manage a separate account and admin can handle creatives and invoice payments. The package supports IAB standard ad formats display, Mobile, Mobile APP, and Video. The advertiser can distribute the ads in multiple platforms and enhance their business. The publishers can get increased requests from advertisers and earn more revenue. The ad server has White label option to add customizable domain name, package name and Logo. The platform provides the report on the amount shared by admin to publisher, the amount spent by advertiser, admin revenue, and publisher income. The invoice is generated periodically for publisher earnings. The package can track the unique clicks and impressions made on the advertisement and display the count in advertiser, campaign and creative reports and in dashboard of admin login. Advertiser can view the total number of unique impression and click and their currency date in dashboard section. 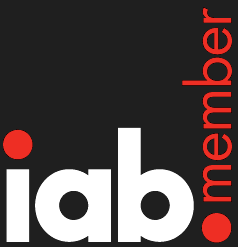 IAB Rising Star:Full page Flex, Adhesion, Pull, Slider, Filmstrip in Apps. APP support:Prestitial, Postitial, SplashScreen and In-game apps. The admin receive the notifications for user signup, creatives, invoice, and payments. The Admin can select the desired language for whole package user-interface including Admin/Advertiser/Publisher panel. The admin has the authority to select either manual linking or auto linking. The manual linking allows the advertiser to select the required publisher zones to deliver the ads and likewise, the publisher can select the advertiser campaign to deliver the ad. The auto linking process will automatically link the advertiser campaign with publisher zone according to their ad type and size. Advertiser can view the percentage of the Video Ads played to the particular visitor. The percentage of values shown for the advertiser are, video ad started, 25% viewed, 50% viewed, 75% viewed, completed, paused, paused to play, full screen, mute, un mute. Frequency Capping:The advertiser can define the impression count per hour. Behavioral Targeting:The ads are delivered if the campaign and website categories are matched. Demographic Targeting:The ad is delivered if the values of gender, age, height, and weight are matched on the campaign and zone side.